Homophobia has long been a problem in Haiti, and staff at Kouraj (a LGBT rights organization focused on improving treatment towards LGBT people in Haiti) say it’s only gotten worse since the 2010 earthquake. 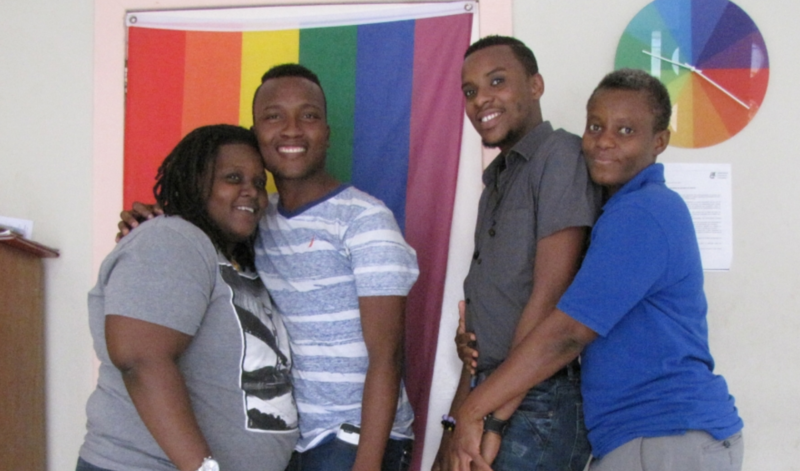 Chachou Jean Francois, a transgender group leader and youth educator at Kouraj, is the arrival of foreign evangelicals imposing their views. After the 2010 earthquake, many of the organizations that rushed to Haiti to help were christian evangelical groups. It is widely believed in Haiti’s LGBT community that Christian fundamentalism spread, along with anti-LGBT sentiment. The name of Haiti’s most prominent LGBT rights organization is Kouraj (Haitian Creole for courage) — with good reason. The group’s headquarters have moved three times after attacks. The current office is on a side street, unmarked, with a plainclothes security guard out front. But inside there’s no question where you are. The reception area is decorated with a rainbow flag and a rainbow clock. Behind the front desk sits a young transgender woman with a warm smile. Smitchyna Charles, a Kouraj receptionist and human rights trainer, tells me that last year life in Haiti became more dangerous for her community. That’s because of two bills that passed Haiti’s Senate over the summer. One included “proven homosexuals” in a list of people (alongside pedophiles and child pornographers) to be deprived of a certificate of moral good standing — something required for acceptance into some universities and often an expected part of job applications.